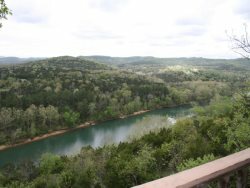 The Eureka Springs area is full of things to do, places to visit, and vistas to explore. This is just a quick list of some of the things to do while visiting Eureka Springs. Everything is within a short distance from our cabins. Fishing Guides on the River or Beaver Lake - We can recommend a guide! Blue Spring Heritage Center - Our neighbors! This is a must see. Farmers Market - Tuesdays and Thursdays at the new Eureka Springs Community Center! Opera in the Ozarks - In their 67th year! Onyx Cave - This is a self guided tour which was really cool.